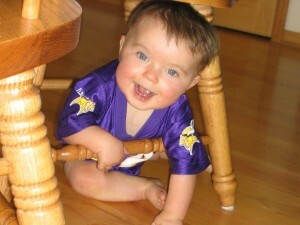 Erik Olson was born in Noverber of 2006. Erik’s story, however, started well before that. At Erik’s 20-week ultrasound we learned that Erik was going to be different. 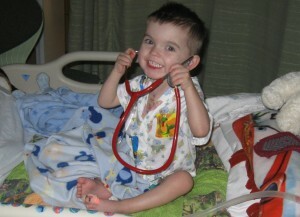 Erik’s heart was not developing normally and blood was not flowing properly. A couple of week later we were sent to Children’s Hospital where they confirmed that Erik was going to be born with a rare heart defect call Hypoplastic Left Heart Syndrome (HPLS). 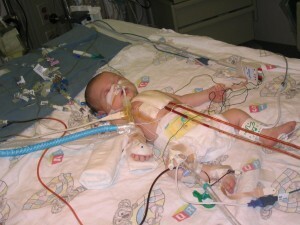 Hypoplastic Left Heart Syndrome is 100% fatal if not treated right after birth. Needless to say, we had no idea what the condition was and had never even heard of this. Basically we were told that the valve that connected the heart’s upper and lower chamber on the left side was not functioning properly, which causes the left ventricle to under-develop. When asked how to fix this problem, we were given three options. 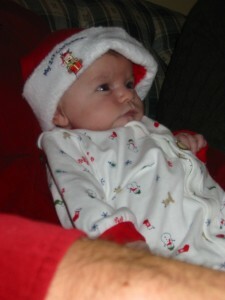 First we were told that we could do nothing and seven days after birth Erik would pass away. For obvious reasons, this was not an option. Second, we could move to either L.A. or Denver where hospitals there perform neonatal heart transplants but you must be a resident of those cities. We were told that the success rate of those transplants was just over fifty percent. The third option was to have Children’s Hospital perform a series of three open heart surgeries over three years that would re-route the veins and arteries and basically bypass the left side of the heart. We were told that the success of these surgeries would be around seventy to eighty percent. Having weighed all of the options, my wife and I decided to allow Children’s Hospital to perform the surgeries. Erik was born around 3am at Abbott Northwestern Hospital. We were able to hold him for about five minutes and then Erik was placed on a stretcher and walked through the underground tunnel from Abbott to Children’s Hospital. 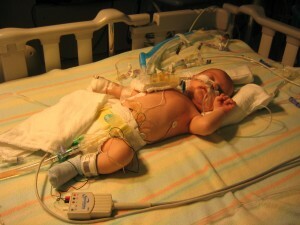 Erik was then taken to the Neonatal Intensive Care Unit (NICU) and stabilized. For having his condition, Erik was doing remarkably well and was then transferred to the PICU or Pediatric Intensive Care Unit. There they monitored every breath, heartbeat, movement, and basically everything they could. 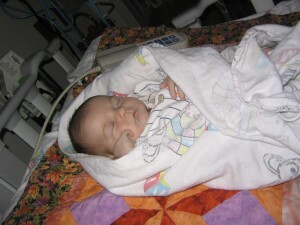 On day four, Erik’s oxygen level was higher than they wanted for surgery and he was placed under a tent. Then a combination of oxygen and nitrogen was pumped in to the tent to obtain the proper oxygen saturation that was required. On the night of Nov. 15th, we held Erik, said a prayer, and Erik was taken to be prepared for surgery, even though the surgery was not scheduled until 8am the next morning. Erik was place on a breathing machine and had IV’s in his neck, hand, and leg. Basically he looked like a rag doll with all sorts of wires attached to him. Hospital staff allowed us to stay with him until surgery. Nov. 16th was without a doubt the scariest day of our entire lives. Erik was taken back to the surgery area at 6am and we were told that they would start the cutting at 8am. The surgeons told us the surgery should last about six to eight hours. Doing the math, I figured we would know the outcome around 2pm. Surrounded by family, friends, and even our pastor, we sat in the waiting room trying our best to pass the time. I remember sitting in the waiting room and just staring at my watch, feeling like I had been sitting there for an entire day, when in fact, it had barely been an hour. At that moment, I learn that an hour in the hospital, feels like a day. One day feels like a week. And a week feels like a month. At noon, I was sitting with my father when the surgeon walked into the waiting room, with his surgical cap in his hands. I remember thinking its to early to see him. My heart sank and my mouth couldn’t stop the words, “Well, he’s dead”, from coming out. The Surgeon heard me and stated, “Nope, everything went better than we could have hoped. They are closing him up and he will be in recovery in twenty minutes and you can go see him”. At that time, to me, my son was born. When we were finally able to see him, I was shocked! He had drainage tubes coming out of his chest, wires and IV’s hooked up to everywhere and he was still on a ventilator for breathing, but he was recovering. 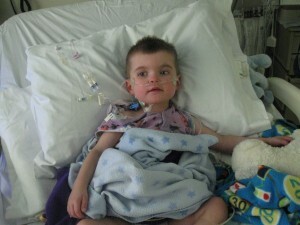 Over the course of the next few days, the doctors removed Erik’s drainage tubes as most of the swelling had gone down. 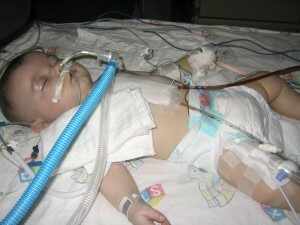 Erik was removed from the ventilator and started breathing on his own. 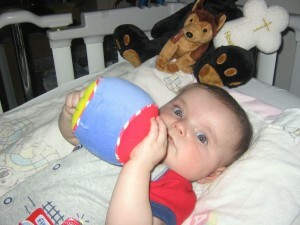 A day after that, Erik started taking milk from a bottle and we knew that the recovery was going well. 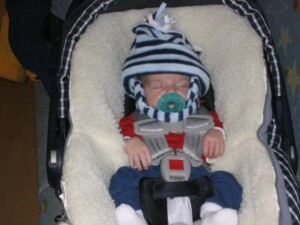 Twenty-eight days after surgery, we were able to bring Erik home for the first time. Thankful to be doing so but scared out of our minds. Not only were we fearful of something bad happening at home, but we could not stop thinking that we were going to have go through it all again in five short months. 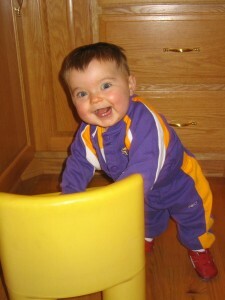 Over the following five months Erik grew just like any other child. He was moving around and had developed a strong personality. Knowing that he was going to have to go through another surgery was very stressful for the whole family. The night before the surgery, I don’t think I slept more than a couple of hours. I was constantly in Erik’s room and all I wanted to do was hold him. The next morning we arrived at Children’s Hospital at 6am. Erik was then taken into the surgery prep area. I was with him as they laid him on the table and used gas to sedate him. It was harder than I thought it would be. Again, we went into the waiting area and were surrounded by our family and friends. To say I was scared is an understatement. For several hours all you could do was fight the mental battle of allowing negative thoughts to take control. Around 11am, we received word that the surgery was successful and Erik would be heading to recovery. When I walked into recovery and saw my son, I could not control the flood of tears. Just hours earlier, I brought a child into the hospital who appeared to be fine. A child that could laugh, move around, and show his personality. What I was staring at was a rag doll that could not even acknowledge that I was in the room. What made it even more difficult was they had placed a jelly-like substance over Erik’s eyes, which made it look like he was crying. 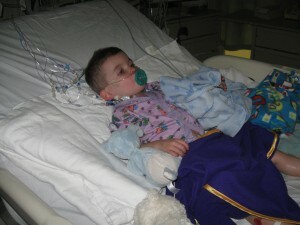 Knowing that he just had heart surgery, and looking like he was in pain, was heartbreaking. However, that was short-lived, as the Cardiologist came to us and informed us that they would be taking Erik off of the ventilator within the hour. Things progressed extremely quickly over the next two days, Erik was removed from all intravenous drugs and he was eating his normal foods. 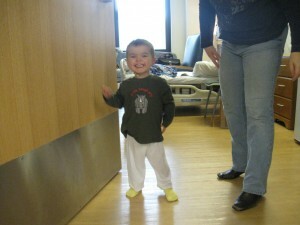 Five days after surgery, Erik was discharged from the hospital. I remember my wife’s look of “Thank God” and her saying “Now we will have some time to enjoy him rather than worrying about his next surgery”. It was funny that she said exactly what I was thinking. As Erik grew, we as a family came to understand just how special Erik was going to be. As he started walking, he never did it without a huge grin on his face. Erik’s gift in life became his smile. 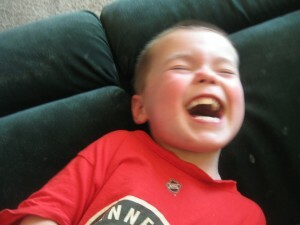 One look at his smiling face and hearing his infectious laugh and there was no way you could be in a bad mood. 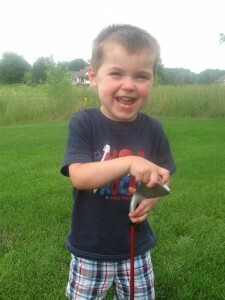 As Erik approached his third birthday, we mentally prepared for the third surgery. 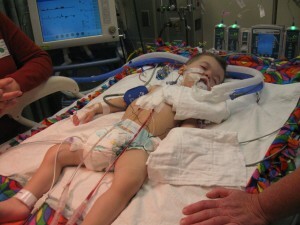 However, explaining to a two and a half year old child that he needed to have a heart surgery is absolutely impossible. Somehow we made it to the third surgery without any major complications and the surgery was scheduled for October 9th of 2009. Again, the surgery was scheduled for 8am. This time however, Erik walked to the surgery prep area. As I lifted him onto the table, Erik gave me a smile. It was like he was telling me that he was going to be okay. As I walked away from the room, all I could do was pray to the Lord “Please don’t take him from me now. We have been through way too much”. As I entered the waiting room, I couldn’t even look at my family. All I wanted to do was cry because I somehow felt like it was my fault that Erik had this condition. I knew that it wasn’t but stress makes you do and think some very strange things. Erik’s surgery went extremely well. Erik was not even placed on the heart bypass machine. And within a few hours, Erik was back in the recovery area. It was tough to see him like that again. As I reached down and touched his toes, it dawned on me “His toes are warm”. That may sound funny, but before the surgeries, Erik’s lower extremities were always cold to the touch as he was not profusing the blood that a normal person would. When I touched his toes and they were warm, I finally felt like all that we had been through was worth it. 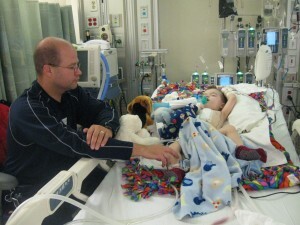 A few hours had passed when we were told that Erik was being taken off the ventilator. Which was fantastic as it would help with his recovery. Once again, I was amazed at what I was seeing. 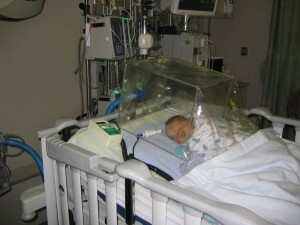 Erik’s oxygen saturations were in the mid 90’s and climbing. Before the surgery his oxygen levels were in the low 70’s. I remember thinking that once he’s ready to go, he’s really going to go because he won’t know what to do with all the oxygen he’ll have. As I was speaking to the cardiologist about this he said, “Just think of him as an athlete who has been training in the Rocky Mountains for the last two and half years”. A couple of hours into the recovery Erik opened his eyes and wanted to see his mother. Erik also wanted something to drink. However, that made him sick and he was not able to keep anything down due to all the medications he was on. Wanting him to sleep was our sole goal but Erik was insistent on getting something down. 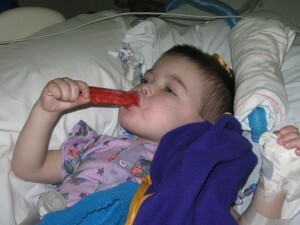 Finally one of the nurses gave him a Popsicle. The look of utter content a single Popsicle gave him was great. He was able to calm himself down but we were not out of the woods yet. At around the fifth day things started to slow down. Erik still had a lot of drainage and he was not able to eat much. Both my wife and I knew something was not right. Erik seemed to be regressing and his oxygen saturation’s were falling. We were told that Erik had developed fluid on the right side of his lung and that lung was not expanding properly due to the fluid. 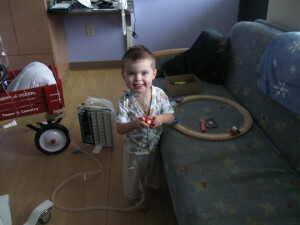 Erik had another drainage tube inserted into the right side of his chest to aid in the removal of that fluid. Again, the staff at the hospital was right on top of everything and the tube was inserted within five minutes and the results were almost immediate. Within two hours, Erik’s color had gone from pale, to pinkish. His appetite came back and he was allowed to have normal foods and liquids. At a one-week post op, we were finally able to start holding Erik again. 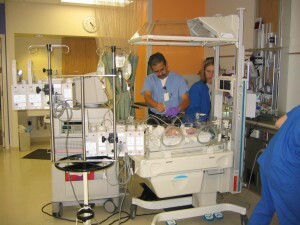 At that point, we were moved from the PICU to the cardiac care unit of the hospital. Erik was also encouraged to get out of bed and walk, as that would assist in draining the fluid from his chest and lungs. It took two and a half weeks before the drainage tubes were removed. The difference in Erik’s attitude was night and day. 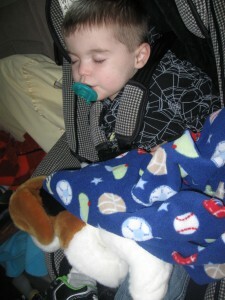 Erik was now able to move around more freely and he was able to sleep through the night. 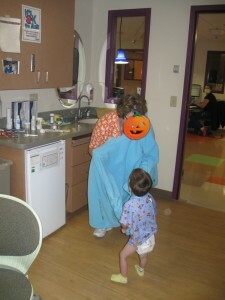 Erik was now acting like he was back to normal and he enjoyed playing with the nurses and doctors, he even called them all his friends. Three weeks after surgery Erik was being released. He was so excited that he was running down the hallways. 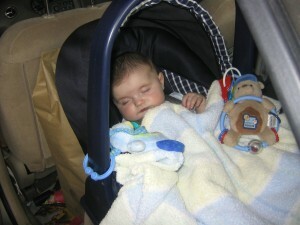 Once I got him into his car seat, he fell asleep before we got out of the parking garage. Erik continues to amaze us everyday. Its hard to look back on where he has been knowing that there is no clear future for children with HPLS, but that will never be used as an excuse for him. It will be the reasons that he does something. Watching him in swimming lessons, he doesn’t even realize that he is different. When another student asked him what was wrong with his chest, Erik replied “Nothing. What’s wrong with yours? Why don’t you have a zipper too?” A zipper is what he refers to his surgery scar as. Erik has continued his remarkable story this year. 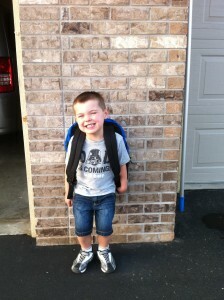 Erik has entered kindergarten and has fallen in love with it. He is learning things in school that I never would have thought of. I have learned that kindergarten is definitely not like it was when I went to school, where learning to tie you shoe was a major accomplishment. Erik attacked school like he does everything else, with a smile on his face. 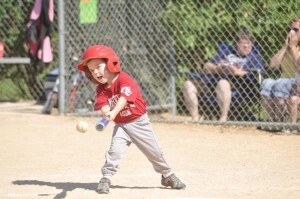 Erik also participated in coach pitch baseball this summer. There were times when he wanted to play in the dirt. But there were also times that he was so engaged that the coaches had to carry him off the field. 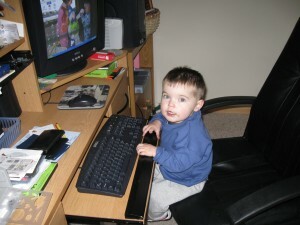 Watching my son play, after all that he has gone through, really made me the proudest parent in the world. Erik’s story might be hard to think about. However, his greatest accomplishments come in the simplest of smiles. When you meet him, be prepared to get a huge hug and a smile put on your face. His smile is infectious and his spirit is just uplifting. A lot has happened In Erik’s life since I last updated his story. Erik has grown and learned so much. He is now in 4th grade. He is good in math and even told me that he likes science. Reading is not his strongest subject, but with patience, he can work his way through it. Erik has a dream, and when He dreams, he dreams big. That dream is to be the next Walt Disney. No he doesn’t want to make roller-coaster, but that would be cool. He wants to make movies. If you meet Erik, be sure to bring up your favorite Movie, right now his is Transformers. Erik love to “Movie Magic” and is thrilled to go to the theater, regardless of what is showing. As a gift, Erik received a stop motion camera, and using his Lego’s, he created his first little film that was over 3000 frames. When Erik is wants to get something done, there is no stopping him. This year we took that family to Orlando, to Universal Studios. Erik could not stop talking about the 3D / 4D rides. Harry Potter world was truly amazing. Erik could not ride all the rides but he had a blast regardless. Erik’s has learned to make the best out of a situation, even when thing don’t go his way. For a 10 year old boy, that’s quite an amazing trait to have. Erik will sometimes complain that he’s different because he doesn’t play sports as good as the other kids. In response, I’ve told he that different is how God has made us all. None of us are the same, and that’s what makes us all special. Erik still possesses a wonderful smile and likes to tell jokes and He has performed magic tricks at the school talent contest. All these things have turned my own worst fears into a wonderful, amazing, and lovable dream come true.